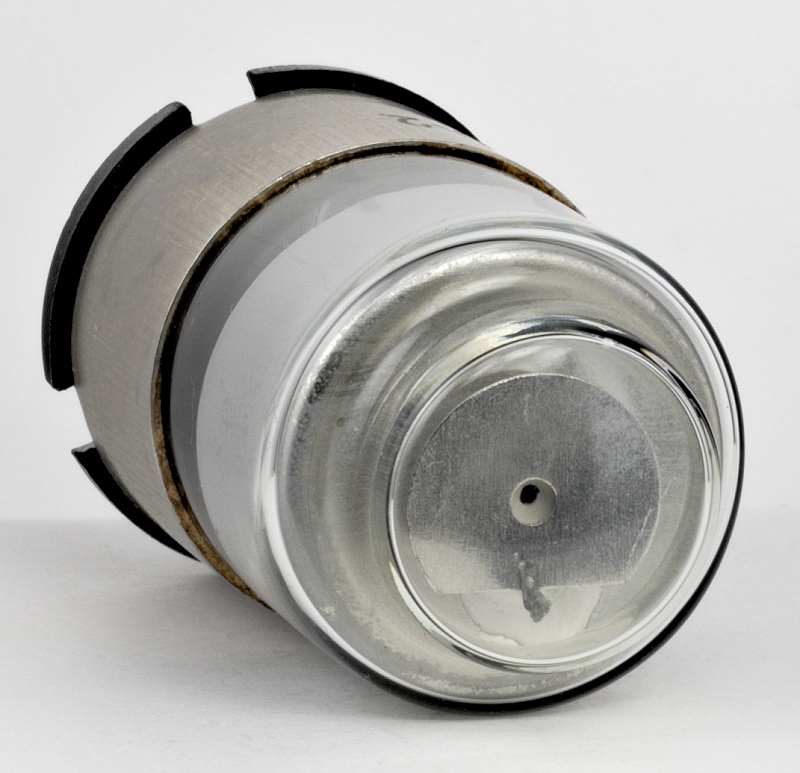 Helium-mercury filled crater lamp for use in facsimile devices. 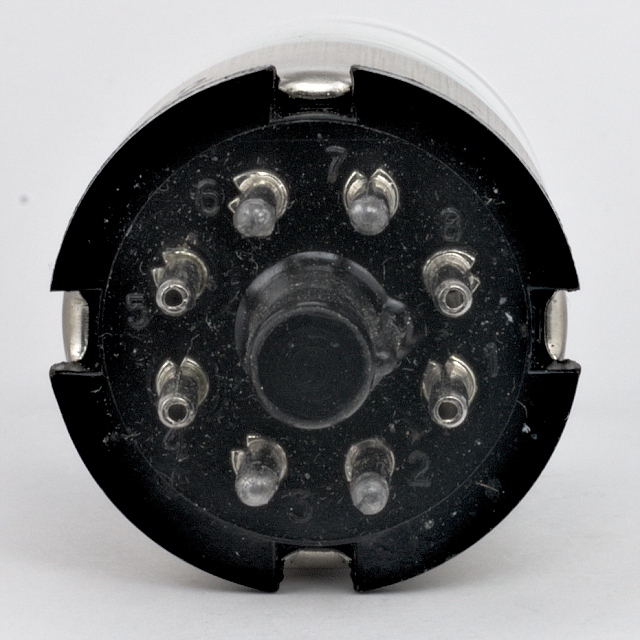 The luminous flux can be modulated up to about 1 MHz. 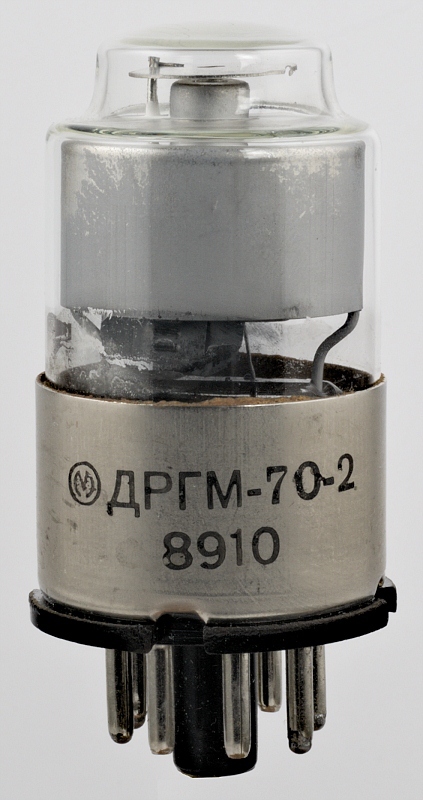 Unlike most crater lamps, which are cold cathode lamps, the DRGM-70 as a hot cathode (filament, 1). 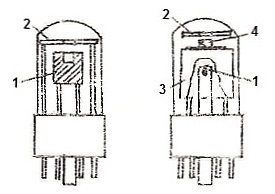 Between the cathode and the anode (2) is placed a hollow cylindrical shield (3) with a nozzle (4) whose diameter is 1 mm. 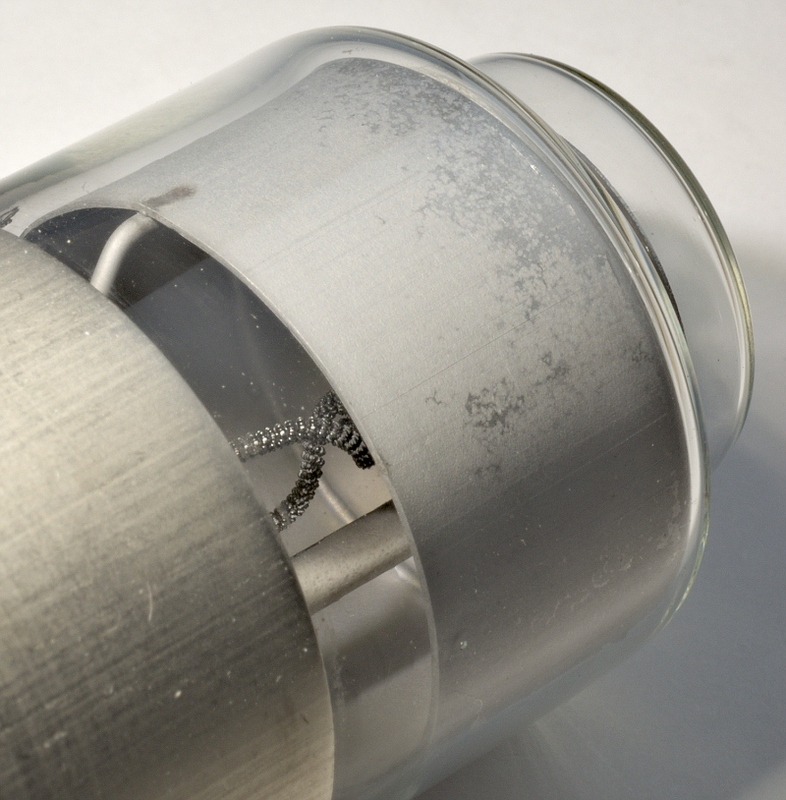 Arc discharge occurs within the channel of the nozzle.